Challenge Fort Wayne continued their summer tradition of a Challenge day camp this year from July 14th -16th at the Kayser’s Barn in New Haven, Indiana. 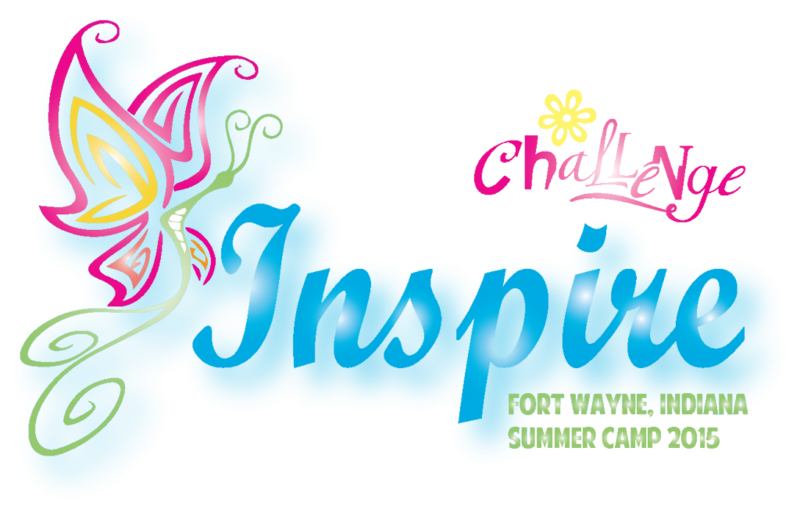 The great team of adult leaders, team leaders and Ally Wheeler, a consecrated woman of Regnum Christi, led the 25 campers to a wonderful faith filled experience centered on the theme INSPIRE. 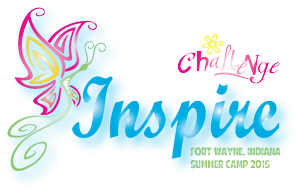 During the camp the girls received INSPIRE coins for doing good deeds or showing virtue. They could also give these coins to other teams when they showed virtue. This proved to motivate the girls throughout camp. The camp was full of great activities like a daily virtue conference, gospel reflections, daily rosary, and bible skits to help them grow spiritually. On the first day, the highlights were “Quest for the Key” activity and tie dying t-shirts. The Quest for the Key activity allowed the girls to come together and work as a team accomplishing tasks such as creating a team name, team face paint symbol, and team cheer. When tie dying t-shirts, every team had two different colors that they were able to mix. It was a big hit for the girls, they really got creative and they all turned out very well. On the second day of camp, there were two special activities that the girls did. The first was the fashion show. Basically each team got two pieces of fabric and they were to go their best to make a modest dress. The dresses were so creative and they even had a run way to walk down. There were judges and awards given for the winning team. The second activity was Bible skits. They girls had to pick their favorite Bible story and make a fun skit out of it. The third day was a day for fellowship and fun. There was the talent show where all the girls participated and shared many different kinds of talents to the rest of the girls. It was inspiring to see so many girls go up in front of them and have the courage to sing, draw, read poems, play instruments, etc. There was a huge water balloon fight and fun water games. After the awards, they got to go swimming and play and a water slide.